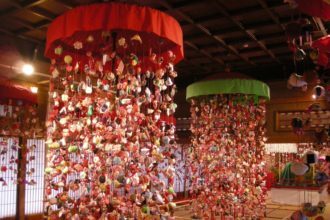 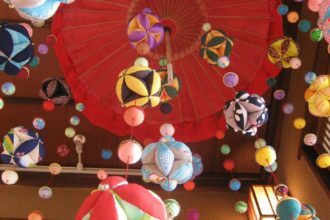 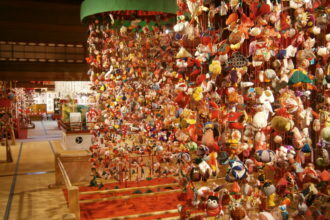 There are three top hanging ornaments in Japan: tsurushi-kazari in Shizuoka prefecture, sagemon in Fukuoka prefecture, and kasafuku in Yamagata prefecture. 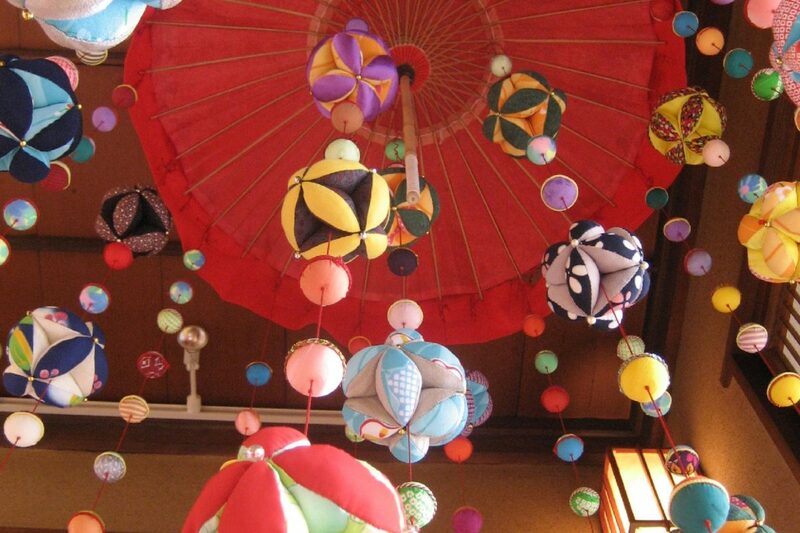 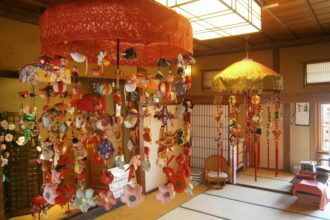 Kasafuku (kasa means umbrella, fuku means good fortune) ornaments can be seen here in Sakata. Why not try making a kasafuku ornament as a keepsake? 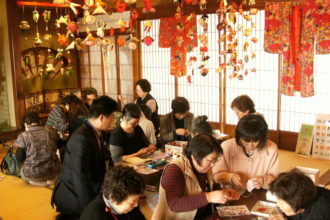 Workshop Hours: 10:00 a.m.–3:00 p.m. 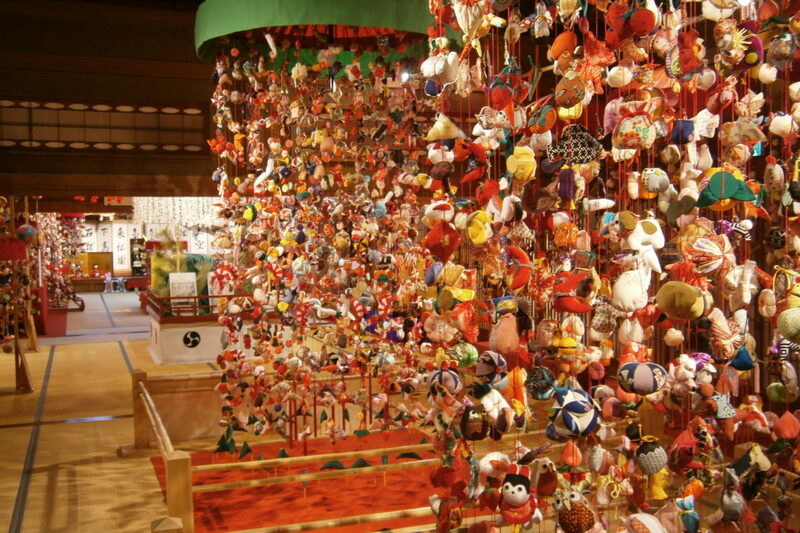 Note: The fee and/or time required depends on the shape and size of the kasafuku ornaments and the individual speed at which they are stitched.